BT Americas specializes in integrated network and communication solutions for multi-site organizations. When they were looking to create a tradeshow hospitality suite that topped the previous year’s, they turned to Proforma. 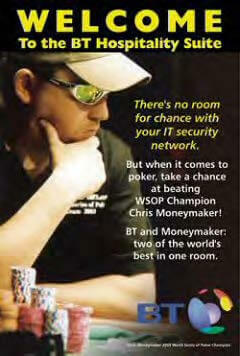 Proforma discovered a quote from a past attendee, “84% of C-Level executives would ‘bet’ that data security was going to be an issue they would face for the next decade.” With this in mind, Proforma pitched a poker themed event around the phrase “Don’t gamble with your Network IT Security.” BT loved the initial proposal and gave Proforma full control of the theme, commercial printing, graphic design, giveaways and more. 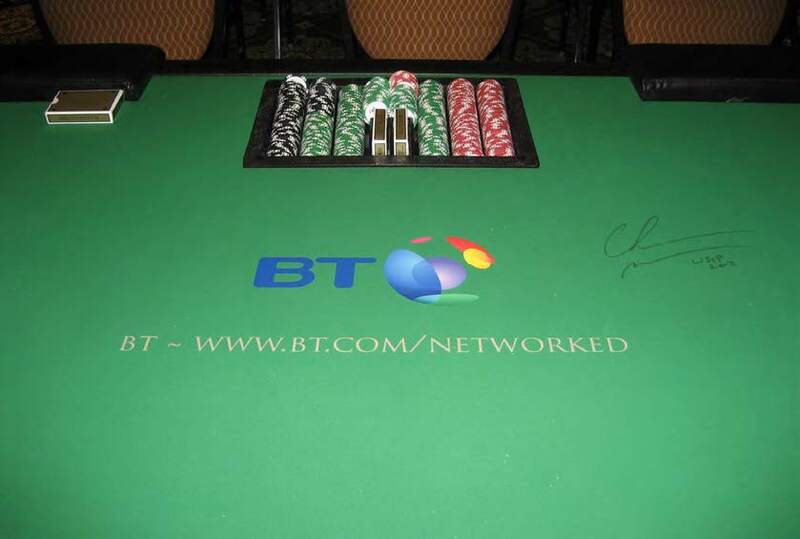 Proforma created, designed and produced the pre-event literature and signage and went ‘all-in’ by arranging for Chris Moneymaker (2003 World Series of Poker Champion) to play cards with some of BT Americas’ prospects and clients. To make the event even more memorable, Proforma developed authentic, custom poker chips and lanyards with printed invitations. The hospitality suite hit the jackpot! The total number of attendees reached 600, double the number that was expected.